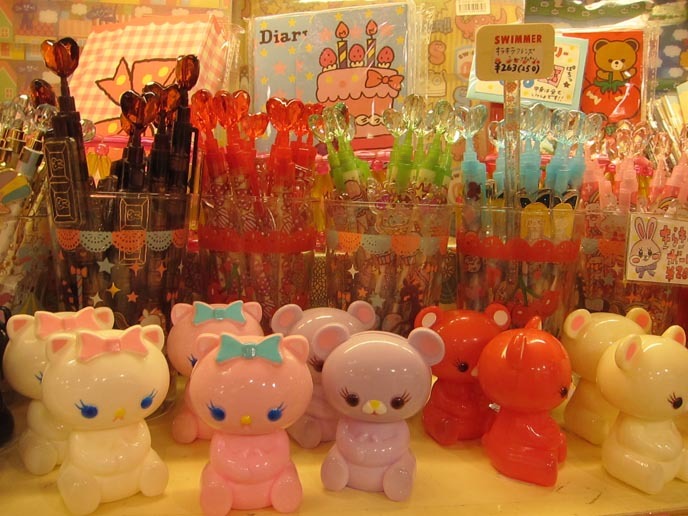 CUTE JAPANESE STATIONERY, PENS, KAWAII HOME ACCESSORIES. SWIMMER & OUTLET: SOUVENIR SHOPS, STUDIO ALTA SHINJUKU. Caution. 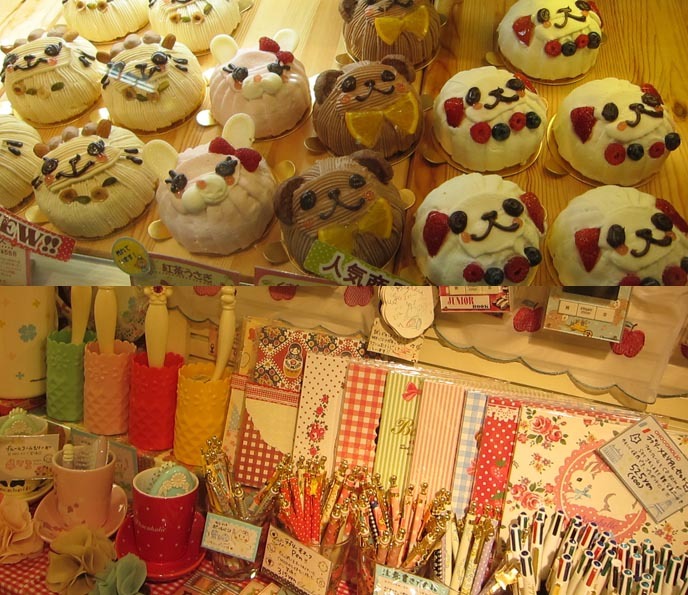 These photos from the Swimmer store (in Studio Alta Shinjuku), contain cute-faced cakes and stationery. 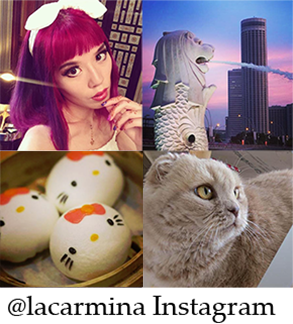 Readers may suffer from kawaii overload! 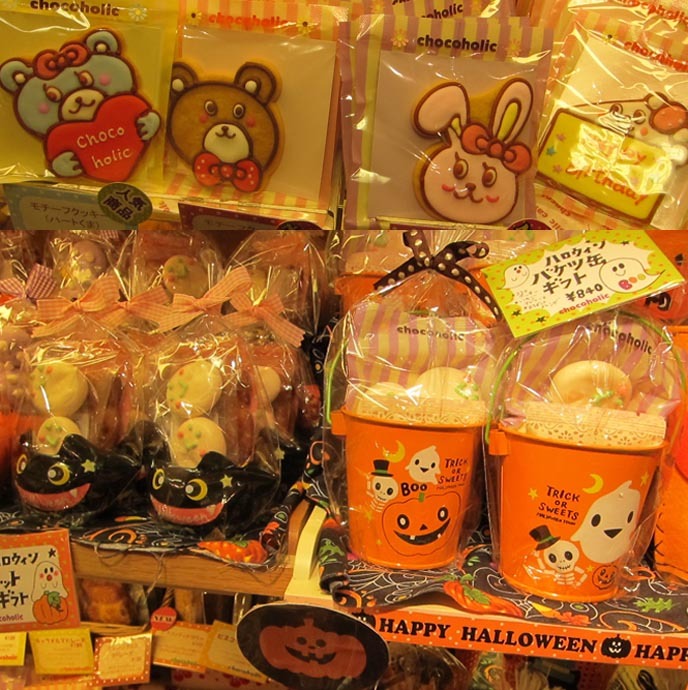 Can you believe the bunnies and bears are edible cookies? Nothing beats dessert design in Japan. If you want to learn how to make adorably decorated food, please consider my book Cute Yummy Time (which has more than 70 healthy recipes). 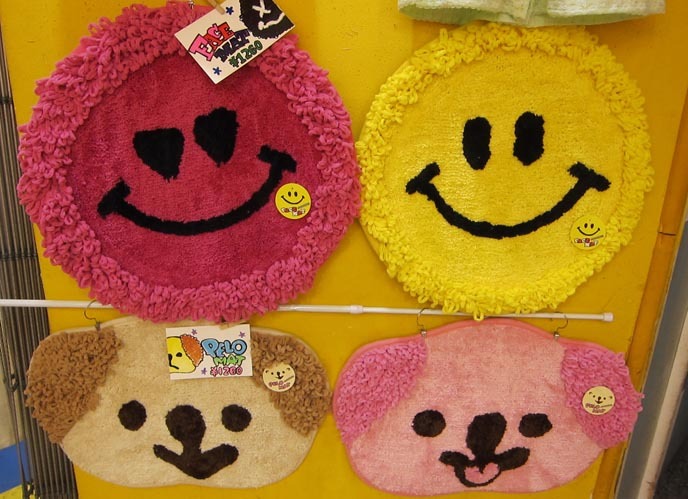 Pretty much everything in the Swimmer store has a cute face on it. 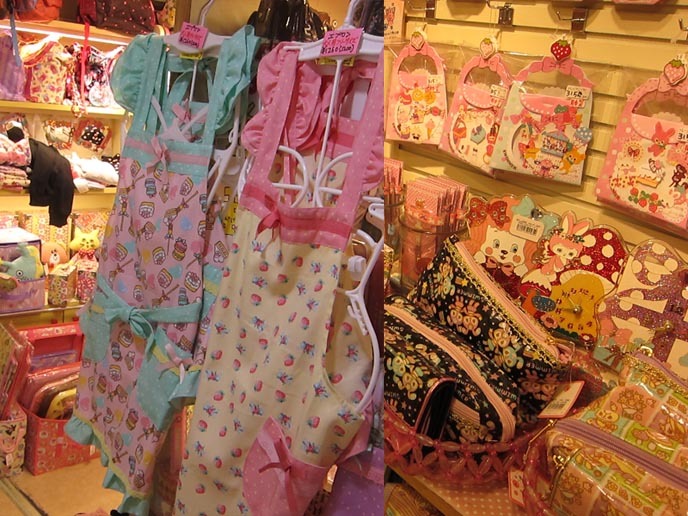 At $20-30, the aprons and bags aren’t out of reach. Imagine filling your entire home with Swimmer stationery and home goods. Happy hangers, kitty lunch boxes. 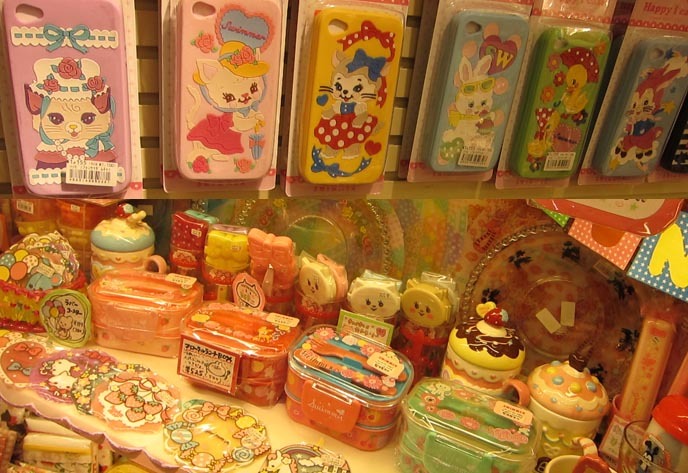 Would you use these iPhone covers? They’re too saccharine for my taste. 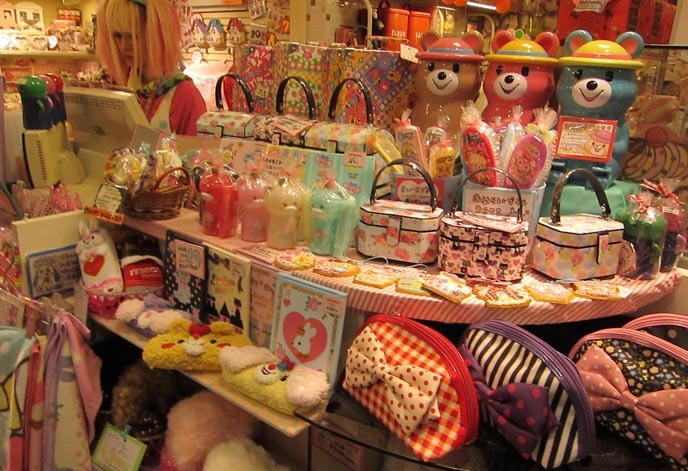 I posted more photos of Swimmer here, and took photos of the Laforet store. Also found in this department store: Outlet. 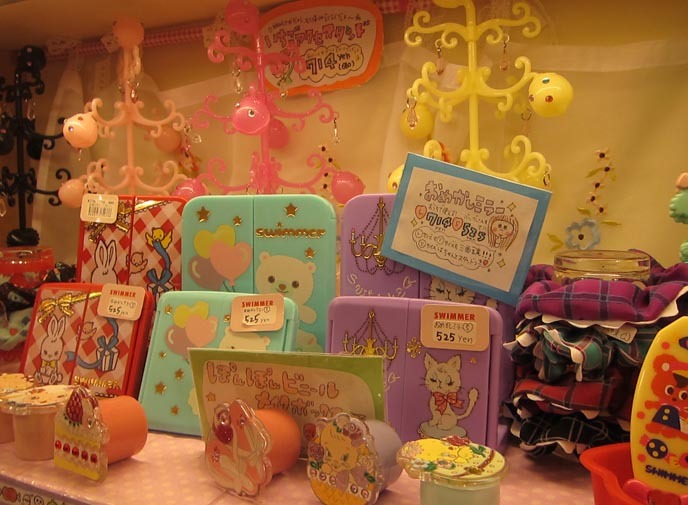 It’s filled with cute goods at low prices. I bought my cat the bottom left mat. He doesn’t like the texture — but will sit on it when it’s turned upside down! 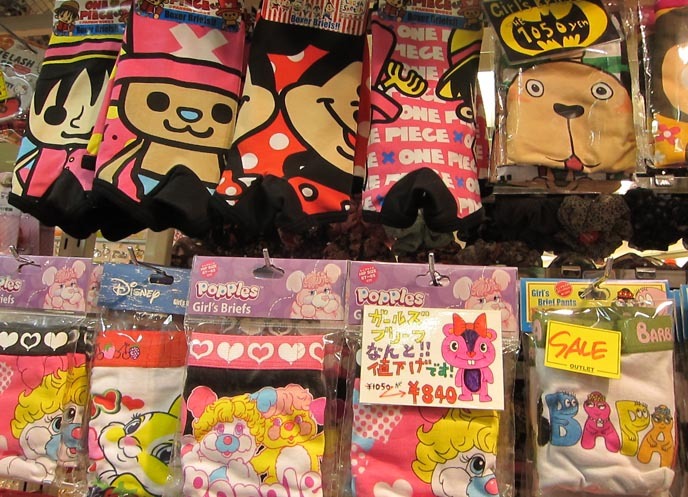 Outlet is excellent for Japan-cute souvenirs, like character socks. 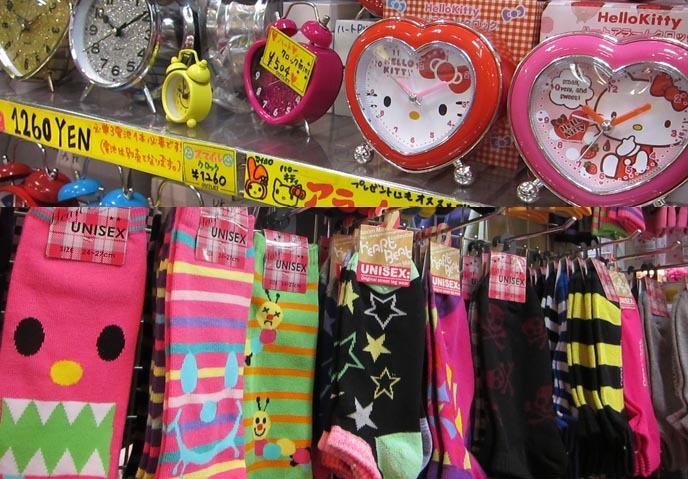 Or a Hello Kitty alarm clock. For about $13, why not. 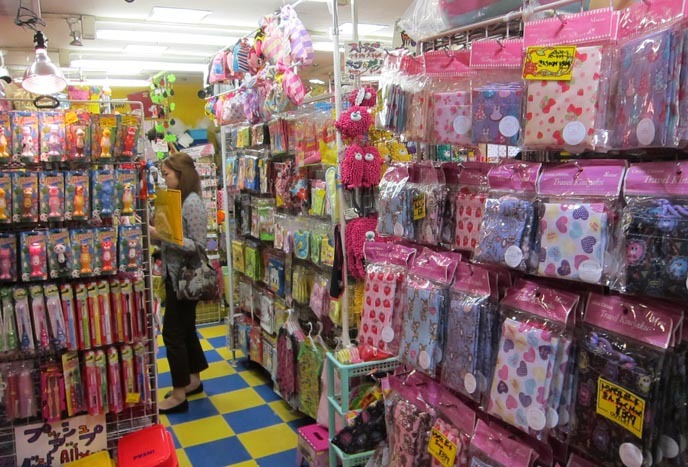 What do you think of these Tokyo stores? Cuteness heaven or hell? 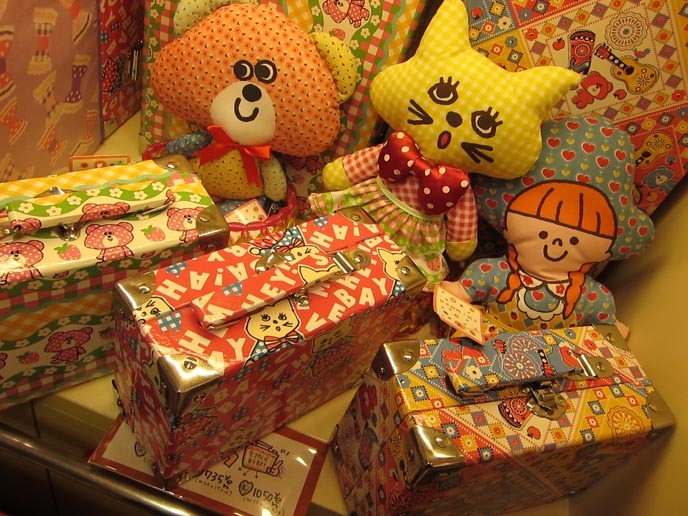 Coming up: more photos from Shinjuku Studio Alta, including the Liz Lisa store. PS: Thanks to Maqaroon for illustrating me and Basil Farrow! 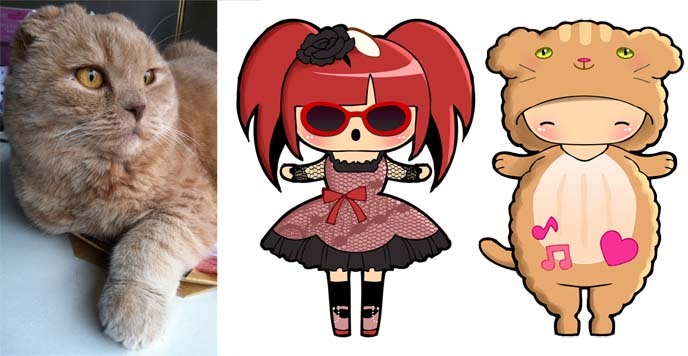 Joanna says, “I drew him fatter and fluffier than all the other kigurumis.” She’s launched a new kawaii brand that sells postcards, stickers and prints — very sweet. love the bunnies! and the iphones! Super kawaii!! I love the little dolly Carmina! Eeee, what a wonderful shop. There should be more adorable food in the UK, Europe, America… The Co-Op were doing rather adorable purple spider cookies at Halloween, but it’s just not the same. Oh well, it just means more cookies to bake at home. cute isn’t it?? Yes, I love making my own cute-faced food! 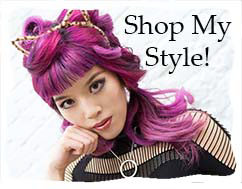 I love this shop – where is one in the land down under [Australia]? 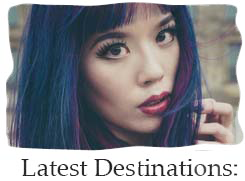 You should make a trip to Japan – it’s close to Auz!! I totally fall in love with these items. 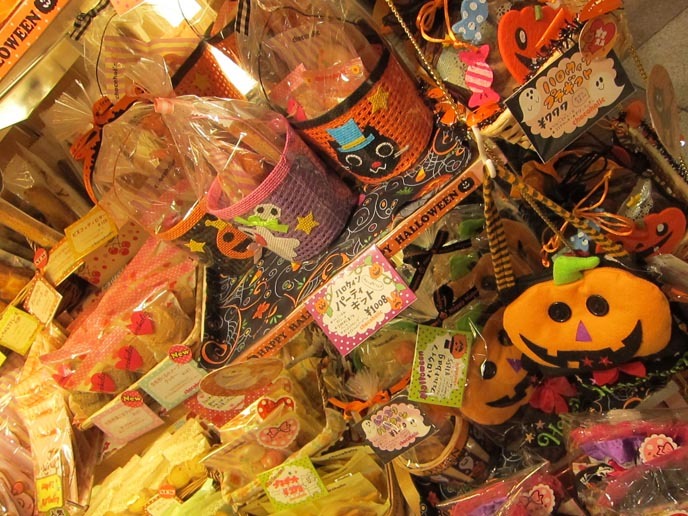 I want to open this shop in my country. 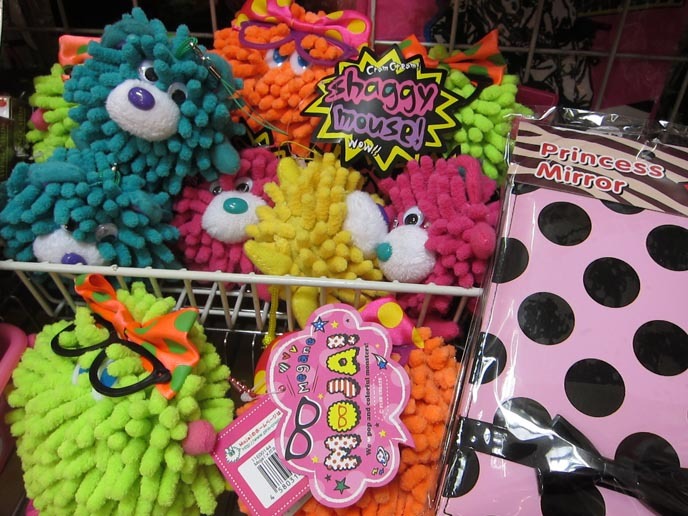 Could you tell me where can find wholesale of these items. Ah I’m afraid these items aren’t available for sale overseas.. Thanks for reading my site.